The first thing you would probably do is to go to Data tab and then click the Sort Z to A icon? And get the following result… without even looking at it (as you trust Excel as reliable tool), believing Excel gets the job done. I always remind myself: No matter how familiar I think I am with Excel, CHECK the result before sending out. The date is not sorted correctly because they are not input as numeric date. Instead, they are input (actually downloaded from SAP) as text. So how to fix the problem? Did you manage to watch the free webinar by Mynda Treacy that I talked about last week? 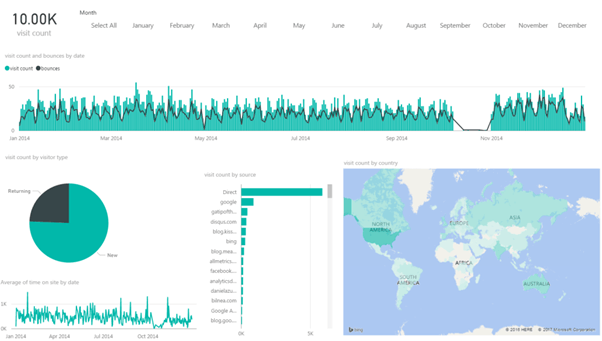 I just watched it this morning and was really amazed by the power of Power BI. Needless to say Mynda did a supreme job in showing the cool features of Power BI in less than one hour. Don’t have time for an hour long webinar? And if you decide you want to supercharge your Power BI learning journey and get up to speed fast then you can get Mynda’s online Power BI course for 20% off until Thursday, February 23rd. Both the free webinar and Mynda’s online Power BI course are only available for a limited time, so don’t miss out. Disclosure: I make a small commission for students who join Mynda’s course via my site, but as you know I don’t just recommend anything and everything. It has to be of outstanding quality and value, and something I can genuinely recommend. After all, if doesn’t live up to what I’ve promised you’ll think poorly of me too and I don’t want that. Oh, and just watching the course videos won’t transform your career, you have to actually put it into practice, as if reading a cookbook won’t make you a chef. This entry was posted in Excel Tips and tagged Copy and Paste, Date, Sort. Bookmark the permalink. I think,I’ve caught the fastest way to sort the date list in desending order. You have to mark the list including the headline! Only then you can use the Sorting Button and get the wanted result. It seems to me, that Excel handles the first cell of a list like a headline. I’ve tried it with a name list for sorting content in alphabetical order. If I didn’t use the headline, the first of the marked cells was used like that and not sorted. Thanks for coming back. I have tried the way you described (in both Excel 2011 for Mac and Excel 2016)… Unfortunately, it didn’t work. I further tested it, and I believed it is the “Sort Warning”… Once we have opted for “SORT ANYTHING THAT LOOKS LIKE NUMBER AS NUMBER”, Excel remembered it so that this setting can be reapplied, even in other workbooks. If you go back to the “Sort” icon (not the A->Z or Z–>A), you will be prompted with the “Sort Warning”. Now if you select “Sort numbers and numbers stored as text separately”, then you will get the undesired sort result; and this kind of “sort setting” is saved. indeed, it’s like you said. The “SORT ANYTHING THAT LOOKS LIKE NUMBER AS NUMBER” is one of my prefered settings. Little things -> Great impact! To my opinion – it depends on which option you select for sorting. Using the “Smallest to Largest (A-Z)” OR “Largest to Smallest (Z-A)” icons will not present the “Sort Error Dialog Window” BUT choosing “SORT” from the Data tab should trigger it. I’ve got it even faster. Did you try that to the file I put in the blogpost? The answer is:”YES.” And it’s worked pretty fine with Excel 2003 Professional. That is to my surprise! I don’t have Excel 2003… i have tested on Excel 2010 and 2011 for mac , neither works. Would you please also text the date by using ISNUMBER to verify whether it is converted to numerical date after changing the format to Date? Suprisingly, when I tried to sort the original (text) range (in 2013 & 2003) I got a “Sort Warning” which allows me to select: “SORT ANYTHING THAT LOOKS LIKE NUMBER AS NUMBER” and after selecting it – the range was sorted as expected, while (and this is also surprising) the ISTEXT test still shows TRUE. Thanks Micky for testing this and share your findings. This is really interesting! It has taken me one click for sorting. I think, this happens, if you are using the addin called analytical function tool. Thanks Sabine for sharing your findings. This is really interesting. Btw, you result also showed that you cannot convert a text to number by changing the format of it. They got sorted correctly for another reason. it could be possible, that so called SmartTags are responsable for this behaviour. You find them in the Autocorrection. I’ve just tested it with numbers with an apostroph at the beginning. I asked Excel, if this is a number and the answer was FALSE. Then I’ve used Paste Special with multiplying 1. 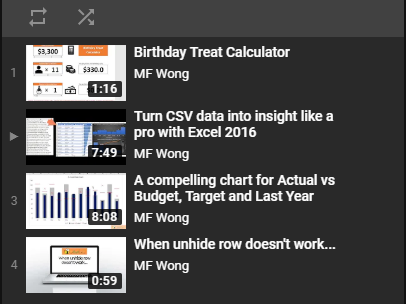 All text was converted to numbers and Excel gave me a TRUE. You are right. An operation may convert a number stored as text to number. I have a blogpost about Number stored as Text. 1) Select the “Textual” Dates range (A4:A11). 2) Goto Menu: “DATA” > “TEXT TO COLUMNS” > “FINISH” (3 clicks). 3) Try to sort the renge +check if the ISTEXT Changed to FALSE. Glad to be able to highlight, some “features”, from time to time. 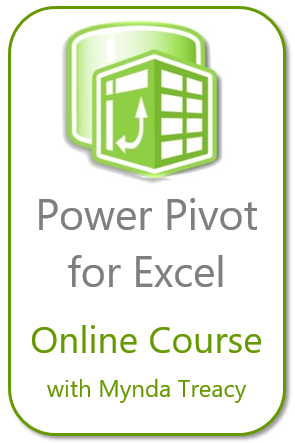 Excel Humor #5 - Are you relying on Excel too much?